Dr. Larry J. Falls, a leader in sexological science and emotional health. Sexology is the scientific study of human sexuality, including human sexual interests, behaviours, and functions. Sexologists apply tools from several academic fields, such as biology, medicine, psychology, epidemiology, sociology, and criminology. Topics of study include sexual development(puberty), sexual orientation, gender identity, sexual relationships, sexual activities, paraphilias and atypical sexual interests. It also includes the study of sexuality across the lifespan, including child sexuality, puberty, adolescent sexuality and sexuality among the elderly. It also spans the sexuality among the mentally and/or the physically disabled. Including, the sexological study of sexual dysfunctions and disorders, including erectile dysfunction, anorgasmia and pedophilia. There are certain things you experience in life that are so personal, you'd rather keep it secret for fear of being judged. That's when it's time to talk to a specialist with proven experience. Dr. Larry Falls is highly qualified with over twenty years experience helping people with sexual issues. High standards - Strict code of ethics. Human sexuality is one of the most personal, emotional, and physical elements in humanity. Wars, politics and religion have always tried to control our sexuality, and different nations have always made laws to abuse and deny our sexual rights. To this day we suffer the consequence past attitudes that has disabled us to deal with our sexuality in an honest way. Instead, we look at ourselves with shame, guilt, and disgust. As a result, many people feel hopeless in talking about their sexual feelings and end up being abused or involved in self-destructive behavior. 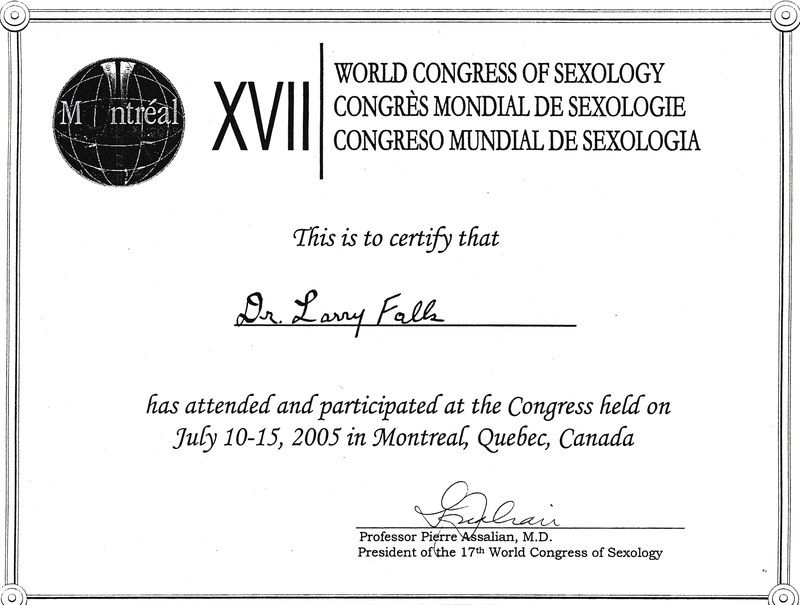 With over 30 years experience in mental health and addictions, Clinical Sexologist Dr. Larry Falls understands the problems in dealing with personal issues, and with specialized training in human sexuality he is able to cut through social stigma that controls your well-being and deal with the reality that affects your emotions and functions. In his practice he uses high standards and strict code of ethics. For more information contact Dr. Falls today. 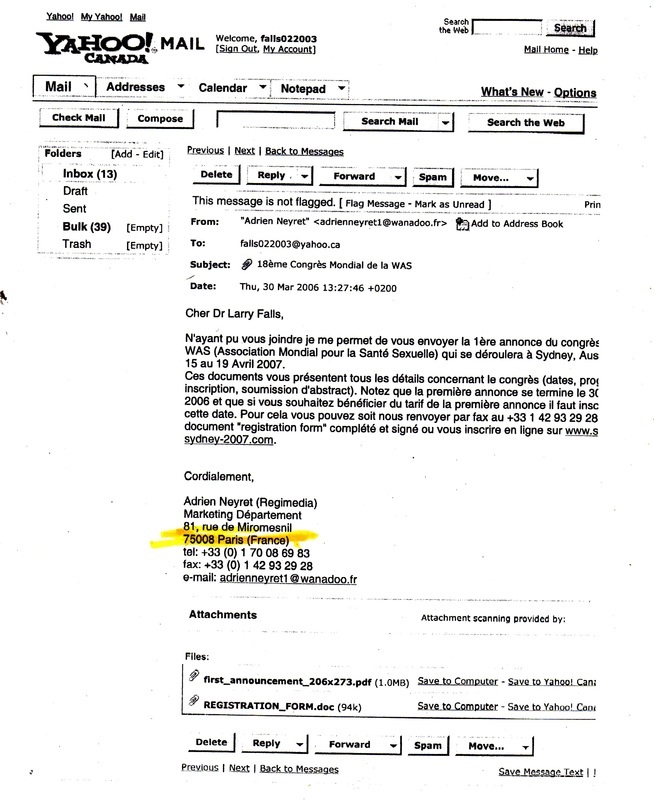 ​* Registered specialist in sexual abuse trauma, addiction and mental health, including experience in developing policies and procedures in the development of residential facilities for treatment in addictions and community resources for other mental health issues. * Over 25 years experience in mental health and addiction programs from therapist to Executive Director. 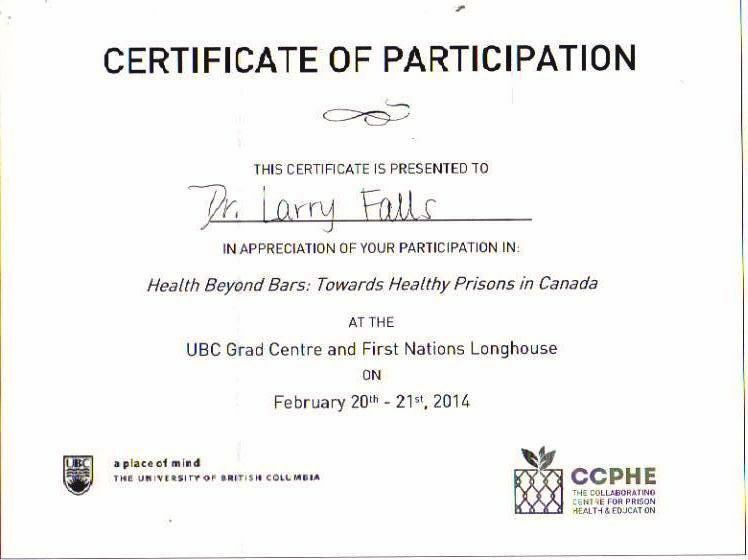 Larry Falls lives in Vancouver, British Columbia where he provides professional counseling services. As a former Director of Addictions and Mental Health Programs, he has a clear understanding of community needs such as healthy living, the importance of housing, a green environment, clean air and water, and need for individual s and community involvement on all levels of government.